The world is full of people but sometimes real friends are few. I know I'm not a cute little puppy anymore, maybe that's why nobody came for me yesterday? So if I'm not here tomorrow, I would like to leave my final wish. Please go find an unloved dog, one who's life has held no joy, or hope and give my place to him. Remember shelter dogs are not broken, we have just been let down by our humans. 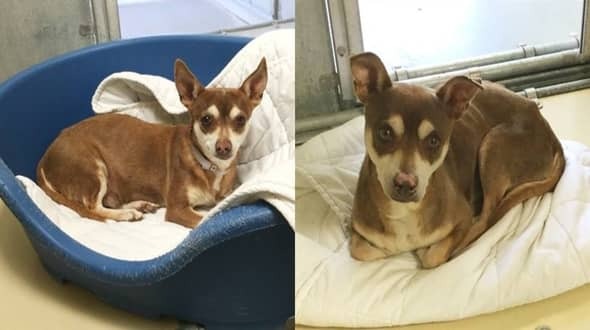 I don't have a name yet and I'm an approximately 12 years old male and female chihuahua sh. I am not yet neutered. I have been at the Lancaster Animal Care Center since June 10, 2018. I am available on June 10, 2018. You can visit me at my temporary home L306. 1 Response to "12 years old bonded chi siblings keep each other strong as they formally placed on death row"